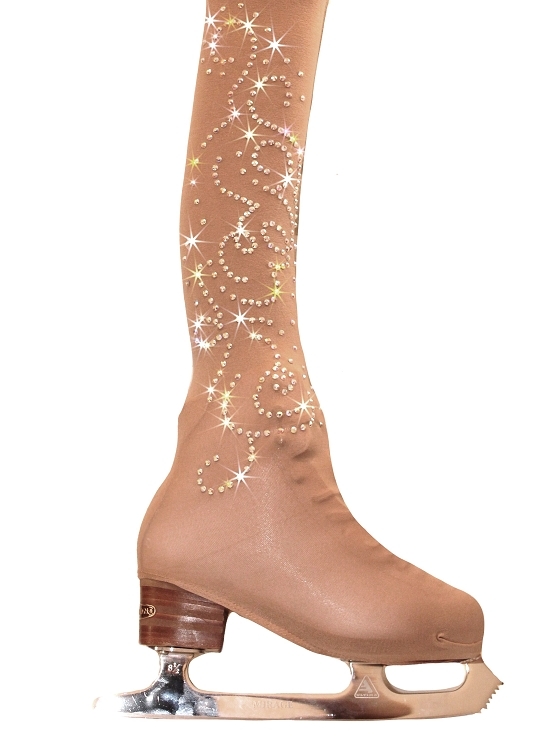 Professional quality heavyweight over the boot ice skating tights with rhinestone design. 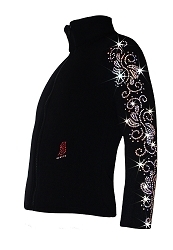 Featuring sparkly applique on the side. 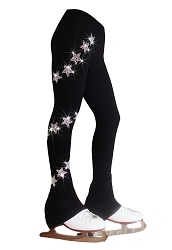 Over 200 (3mm) AB crystals with swirls design on lower part of the leg. 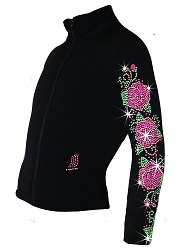 Rhinestone design size: 11 inch X 4 inch. Tights Size. Child Small/Intermediate: age 4-7, height 40"-51", weight 39-62 lbs. Child Medium/Large: age 8-14 , height 51"-60", weight 63-96 lbs. Perfect for competition. 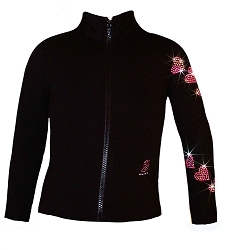 Shine bright and stand out from the crowd on your upcoming event!